It’s easy to be warmed by this colourful photo of Bamberg, Germany, standing beneath the summer sun and over the gently gurgling waters of the Regnitz river. 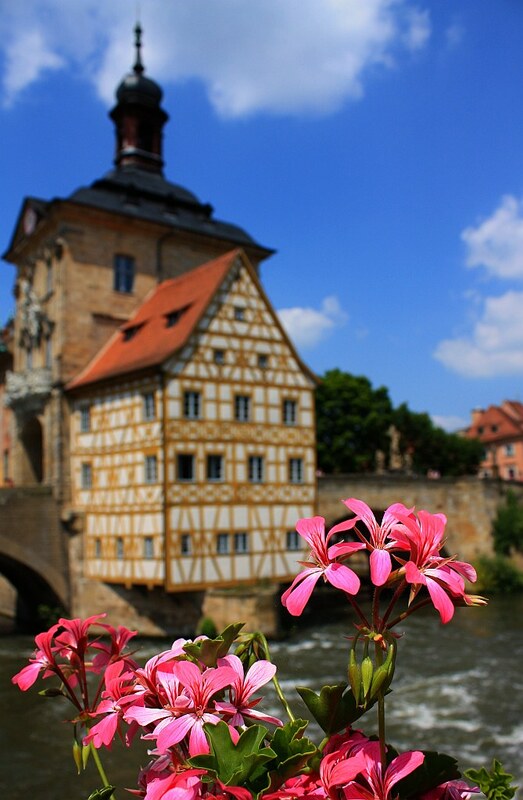 Bamberg is one of my recommended UNESCO World Heritage Sites in Germany. I made the photo above on 24 June 2010. This post appears on Fotoeins Fotopress at fotoeins.com. Sam, thanks for stopping by and for your comment. I got really lucky with this photograph with the light and the flowers. Thanks again!